Nearly half the action takes place inside the Airbus A300. 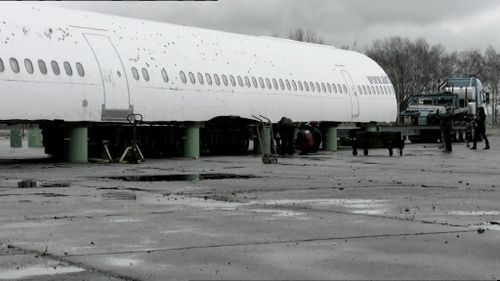 The movie's crew needed a fuselage free of any commercial pressure but as some A300 are now old enough to be scrapped, the team search for a lost airframe. 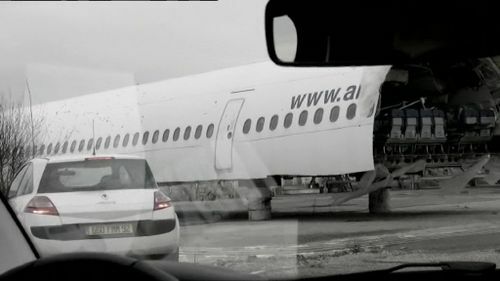 They found an ex-Air Togo A300 B4 abandoned at Bordeaux. Only the upper fuselage (passenger deck) of the aircraft was kept and put on a lorry for a travel to Melun-Villaroche airfield (40 km south-east of Paris) 700 kilometers north. This aircraft built in 1979 is the 69th airframe, ex F-WZEB 5T-CTI N471AS 5V-TTT G-BYYS RP-C3002 (Philippine Airlines) and eventually F-GVVV when her operator's bankruptcy occurred in 2005. 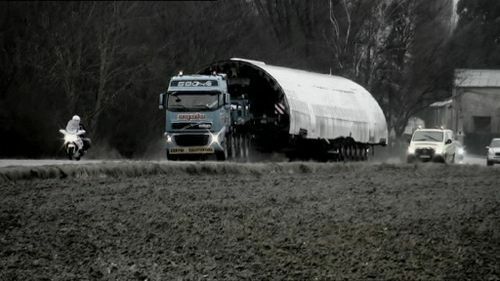 As in March 2017, this fuselage is still there having been used for some other filming. Pictures from the Making of. Note the Airbus A330 of Air Comet in the background. This airline was ceasing operations owing to bankruptcy in December 2009. 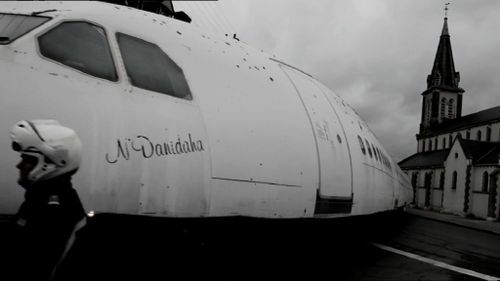 Note the christen name : N Danidaha (mother of General Eyadéma, Togo head of state from 1967 to 2005). This page was last modified on 10 April 2019, at 02:26.